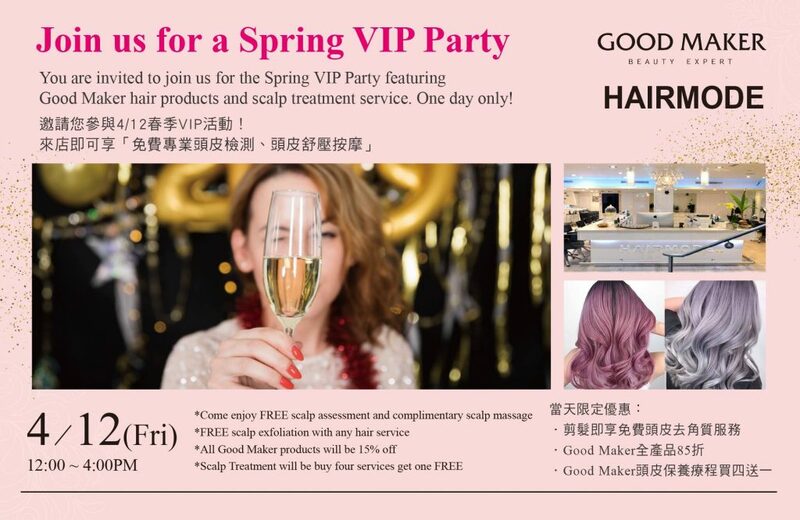 You are invited to join us for the Hair Mode Spring VIP party featuring Good Maker hair products and scalp treatment services with “buy 4 get one FREE” special. One day only! No user commented in " Join us for a Spring VIP Party & Specials at Hair Mode "